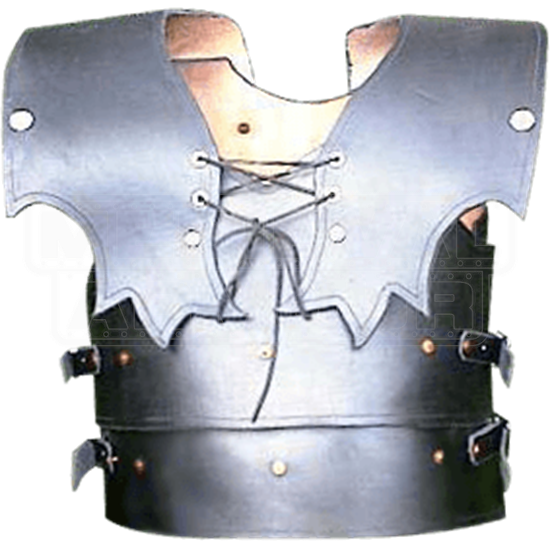 This stylish cuirass is crafted with sturdy 13/15 oz. armor grade leather. This piece moves very easily with you and will allow a full range of motion. This item is custom made to order per your measurements given and usually ships in 3 to 5 business days. It is available in black or brown. Our Elven Ranger Armour has a great fantasy look to it and is perfect for SCA reenactments. This Armour is custom made to your measurements. *See our return policy for information on custom orders.